Allowing excessive curvature of the back or attempting to touch the toes in a very rapid manner. This stretch should be performed at controlled pace. 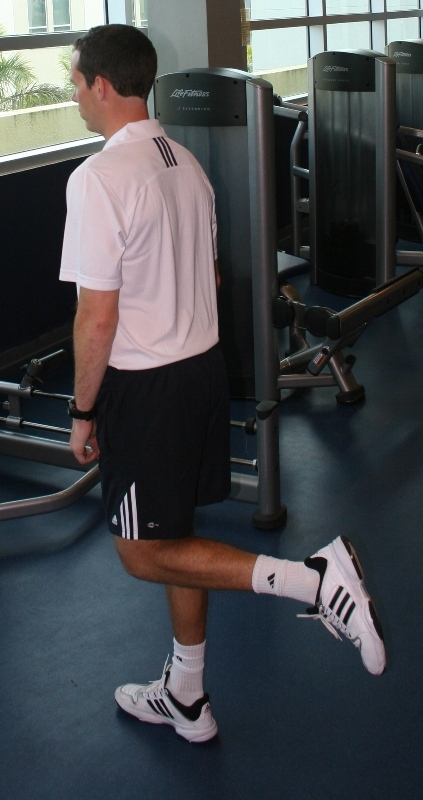 Furthermore, attempt to keep the leg that is extended behind the body as straight as possible. Failure to maintain a slight bend in the knee in the supporting leg, or keeping the leg extended behind the body straight.